Since the launch of the newest version of Google Analytics users are eagerly waiting for new features presented by Google Analytics. Slowly it’s developing towards the complete package we’re all hoping for. Thus far Google already added site speed measurement, multi-channel funnels, and linking multiple AdWords accounts in the new version. 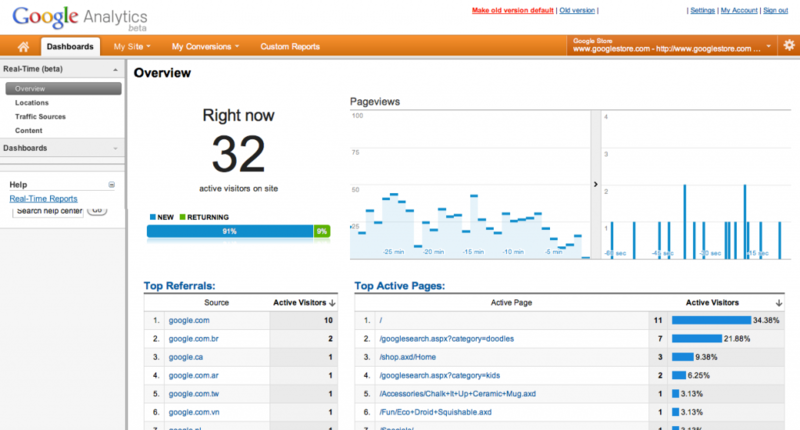 Yesterday was a busy day at the office for the Google Analytics team. They introduced a few new and very interesting possibilities in a short time. We will discuss the below. First of all Google announced a slight change of interface. Google chose to simplify the primary navigation for easier access to important reports. The new interface will consist of only three tabs: home, standard reporting and custom reporting. An important announcement Google did yesterday was the introduction of real time statistics. In the dashboard section (or the home tab in the new interface) it will be possible to see directly what’s happening on your site at the moment. The real time dashboard will show the number of visitors as well as what they’re looking at, how they entered your website etc. The real time statistics was not a feature that was expected by many, but is more than welcome. It’s an ideal way of measuring the impact of social media campaigns, newsletters or just to get insight in what’s happening on your site at specific moment. Real time statistics will not be visible for everyone yet. They will only be accessible in the new version of Analytics, for unfiltered profiles. It’s therefore very important always to keep one unfiltered profile in your Analytics account. 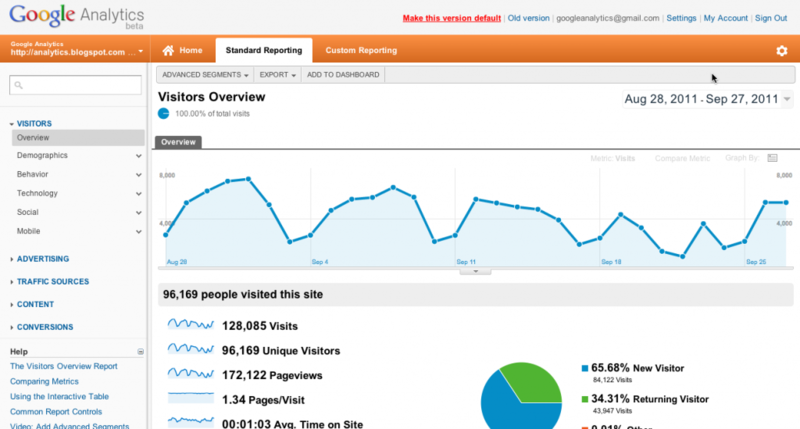 The last announcement yesterday was the introduction of a paid version of Google Analytics: Google Analytics premium. This premium package is focused on larger websites with larger needs the current version can’t meet. The premium version offers more data, advanced tools and extensive service and a service level agreement. This package can be bought directly from Google or via authorized resellers for $ 150.000,- per year. It’s only available in the US, Canada and the UK at the moment. This new package offers measurement of billions of ‘hits’ per month, 50 custom variables and export of higher volumes of data directly from the interface. A complete overview of the features can be found here or in this video. What If Social Media Sites Were Your Neighbors? Pingback: Big Data: what is it? - All News & Campaigns.